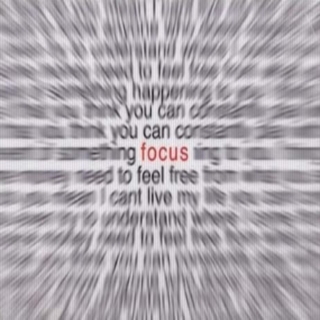 Not a new question for me - but here it is, again: where do I focus my time? ﻿﻿The working and the working out and the writing - how does it all fit into my life? Within each area I also have questions, but I have to start with the basics - the question of time. Oh, and sleep. Always sleep. ﻿﻿I want to spend more time writing. Partly because I want to get the novel revision done, and the memoir, and I have stories to submit. And I want to write more stories. I love to write. I'm not as comfortable with the editing and revision process of the longer works - but I think I will be in time. Time. That word again. Time. I know money doesn't buy happiness, but it could buy some time. As in, pay the mortgage and the other necessities of life. That's where my profession comes in. Don't get me wrong - I still like what I do; but it's not writing. Right now the scales are tipped more in the direction of work for several reasons - the mortgage being one, of course. Right now I don't have money comng in from my writing (although I've had a few things published and that's good). So I have to work more than I'd ideally like. Then there's the working out and physical activities. My back is better, although not back to problem-free. But better. Last weekend I bought another pair of shoes which I hope will help, too. I might even get a chance to go out an walk tomorrow for two or three miles to test them out; I'm holding out hope for that - the weather to hold and the shoes to be part of the solution. I still won't do the Portland Half Marathon; I'm not trained and I know my back is not up to that. But I did meet with a good friend and sometimes workout/hiking buddy and we may do a spring half marathon together. That would be great. The dragon boat weekly off-season paddling has ended, so I don't have dragon boat practice until January when we start back in with two nights a week until May, when we go to three nights a week. Writing. Working out/physical activity. Working. I also have to remember that I'm just settling into a new schedule. These last couple weeks have been rough, with the last of my old schedule and the beginning of the new one overlapping, not quite meshing. It's better and will soon be smooth sailing - just long enough to get settled a bit before NaNoWriMo begins. And I didn't even mention the long weekend trip to San Francisco. Which was great. I caught up on sleep. I rested. I wrote. And I met with Bonnie Hearn Hill. I'll save that story for its own post - but will say that I had a great time with her, even though it was short. I hope to be able to spend more time with her and it was inspirational and didn't feel like it had been as long as it has since we last saw each other. I've been quiet with my posts. Contemplating. Waiting. Wondering. I think something is brewing!